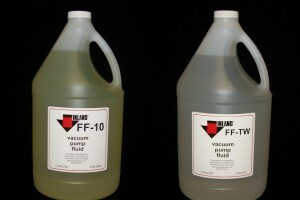 Fomblin PFPE Mechanical Pump Fluid - Inland Vacuum Industries, Inc.
Fomblin® PFPE vacuum pump fluids are non-flammable, chemically inert, and thermally stable. When used with proper pump filtration, Fomblin PFPE vacuum pump oils provide exceptionally long service life. These fluids have excellent lubricity properties and are available in viscosity grades suitable for use in all vacuum pumps. 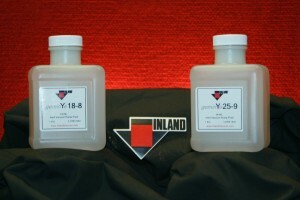 Consult your Inland sales representative or engineer for assistance in selecting the proper viscosity grade for your specific pump and application. 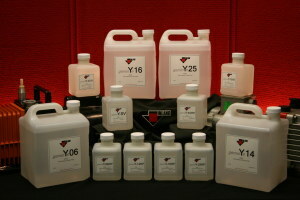 Fomblin Y L VAC is an inert perfluorinated fluid mixture with a hexafluoropropylene base. 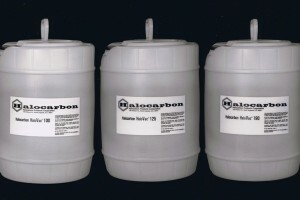 Because the chemical chain contains only carbon, fluorine, and oxygen, it exhibits excellent physical properties, including excellent lubricity and minimal backstreaming. Fomblin Y LVAC RP incorporates a new patented Fomblin antirust additive which enables the fluid to withstand even the harshest chemical environments. The additive, based on the Fomblin perfluoro-polyether structure, does not affect the chemical resistance and high vacuum performance of the Y LVAC RP fluids. Fomblin SV is an advanced inert perfluorinated fluid with a backstreaming rate of virtually zero, allowing for an ultra clean vacuum. This fluid offers excellent performance in dry etcher and CVD applications without the need to invest in dry pump technology. Fomblin® is a registered trademark of Solvay.